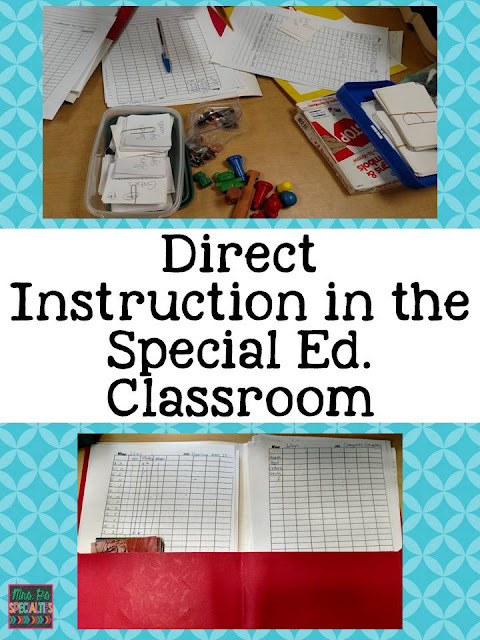 Instruction Options in Special Education Classrooms | Mrs. P's Specialties! 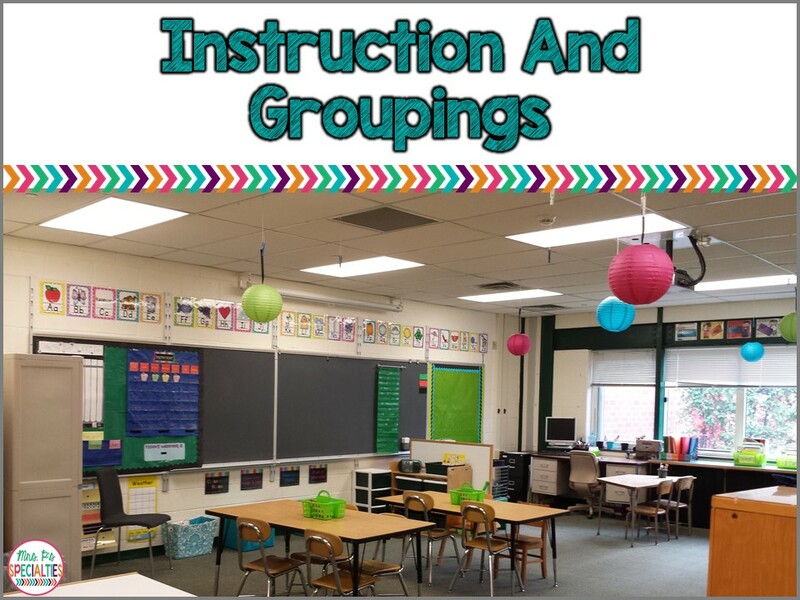 Do you struggle with groupings and organizing instruction that meets the needs of all of your students? 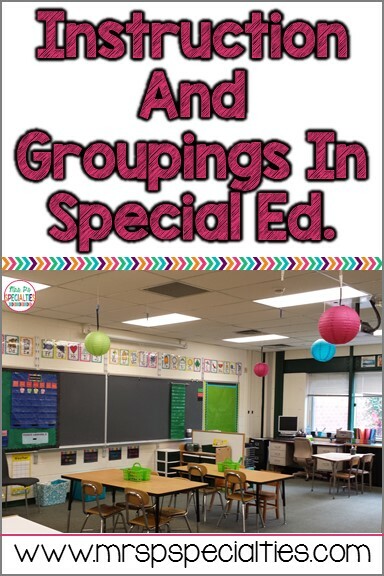 We tend to get students with a wide range of needs and levels in special education classrooms. It can be a real challenge to organize groupings and meet everyone's needs. Here are 3 different types of instruction I use in my self-contained classroom. We start our day with two whole class groups. The first 15 minutes of our day is a center that the whole class can enjoy. It is usually a combination of fine motor and play. Examples of our centers include blocks, legos, coloring with markers, etc. This allows the staff to get lunch orders, take students to the bathroom, start sensory diets and motor programs. 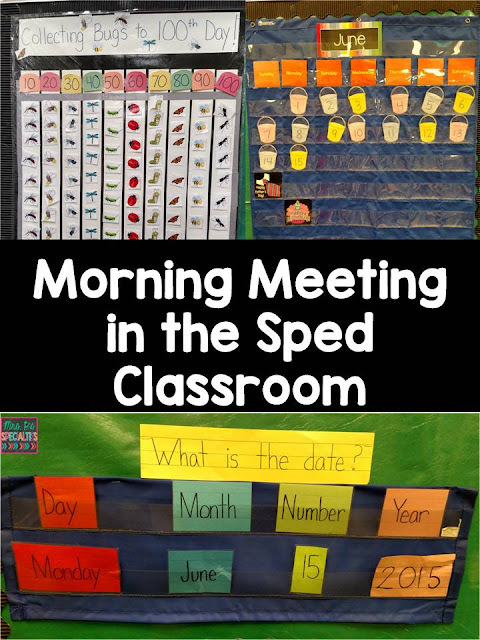 Afterwards, we have morning meeting which is a whole class activity. Click the picture below to read more about how we organize and run it. We also added some activities to work on learning each other's names, letter ID, etc. Read more about it: Morning Meeting Update. We also do Write The Room or Count The Room activities. Have you tried these before? If not... DO IT!! There is so much research that students learn better when they are moving. Movement helps them organize their brains. Try it! Both count and write the room activities are included in each of my theme units and come already leveled to meet the needs of ALL of your students. Click HERE for more information. Here is information on how to add movement into your school day: Add Movement For Better Focus. In my classroom, we use small group instruction the most. I generally have 2 to 3 small groups going at the same time. I split my students up based on the skills the group will be targeting instead of grade level. I then look at the group and decide how many teaching assistants the group will need and if the group will be led by a teaching assistant or me. Here are some examples of our small group instruction. We cover a lot of language and reading goals during small groups. I often start a small group with an interactive book. 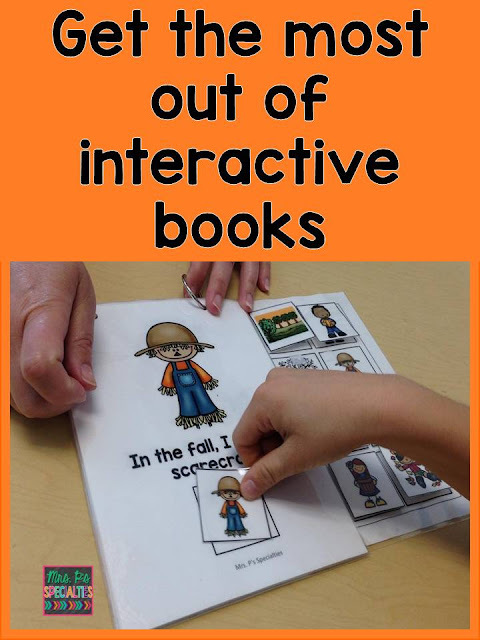 Click the picture below to see the types of things we do with interactive books. 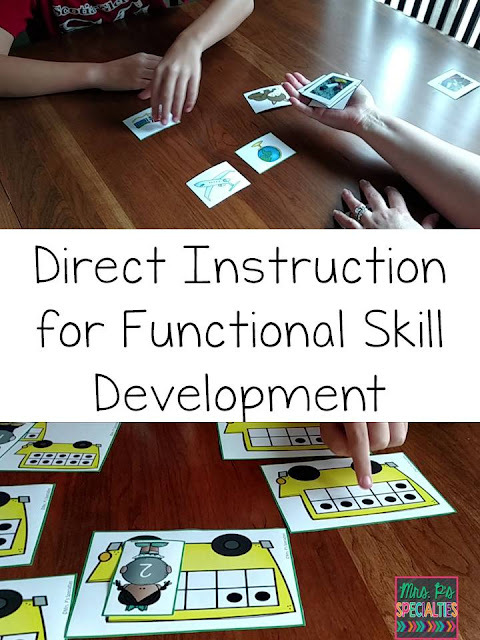 The last type of instruction we use is one to one instruction. Hands down, this is the type of instruction my students respond best to. BUT that doesn't mean they don't need the other types. My students have a lot of practice of tuning out peers and wanting constant attention or turns. It is important for our students to learn how to wait, how to take turns, how to sit close to peers and still attend, etc. One to one instruction should be sprinkled throughout the school day. I hope this post has given you some ideas on how to implement different instructional groups in your classroom. Do you have another type to add? Please leave a comment! *sigh* I am confused about 1:1 time. I have centers for instruction in my room, but I AM a center, so I cant pull 1:1 at that time. How do you do it? I have 11 kids and 2 aides. 6 kids per group is not an option. What about having some students be at an independent center to cut down on the amount of students in a center and allow you to pull? I have 3 centers going while I pull for 1:1. Possible examples of independent centers: independent work stations (task boxes), snack, headphone/listening station with books, computer, etc. Please feel free to email me at pspetralia@gmail.com if you have any other questions.